Microsoft provides two technologies to solve network virtualization in multi tenant cloud – IP rewrite and NVGRE solution. There are some “prerequisites” in your datacenter that should be meet. 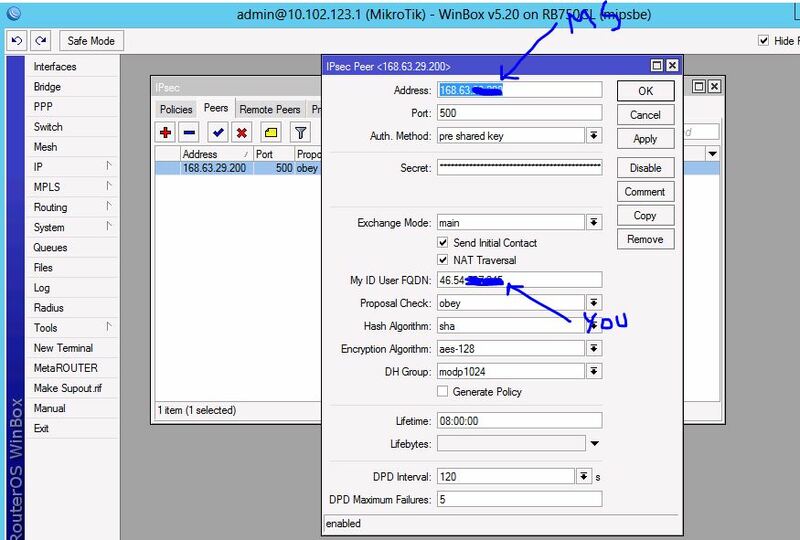 Network virtualization is working only on “non vlaned virtual switches” so you need to have “untagged” connection between virtual switches on different hosts. Virtual machine should be connected without vlan option in network card configuration. Two Windows server 2012 with Hyper-V and both domain joined. I have created only one virtual switch – external – binded to a single physical NIC on both servers. It should start ping the machine on the other host… Remeber – this parameters “live migrate” with machine – so you can freely move the machine around your environment without thinking about what will happen to your network configuration! Great feature! This entry was posted in Windows server 2012 on September 3, 2012 by manojlovicl. While doing my demos for Windows server 2012 readiness I wanted to show my attendees also virtual machines that you can run now on Windows Azure ( www.windowsazure.com – here you can try virtual machines and other Azure features for 180 days!). If you want to do that you need to create new network configuration in network tab on Azure portal. 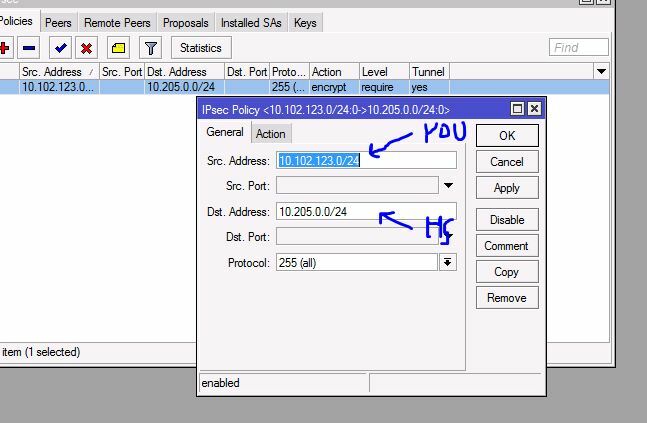 But at the end you can download configuration for Cisco or Juniper… From that configuration I “extracted” the important steps to configure it on Mikrotik 750. 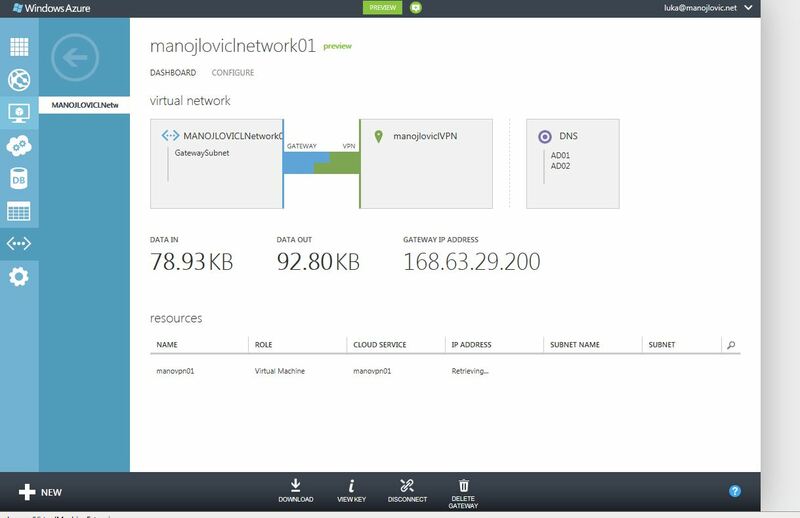 It is easy to configure virtual machines on Windows Azure platform and also very easy to establish site-to-site VPN connection – and it works also with “lower” budged routers and not only by using Cisco or Juniper. This entry was posted in Windows server 2012 on September 2, 2012 by manojlovicl.